ARE YOU CURRENTLY UNDER INVESTIGATION? If you are reading this, your liberty could very well be in jeopardy! If you believe you are under investigation, do not talk to the police without first speaking to an investigations attorney in Austin who is focused on criminal defense. Call Erskine Law right now at 512-294-1924. Law Enforcement is NOT Looking Out for Your Best Interest. At Erskine Law, WE ARE THERE FOR YOU! What you say can and will be used against you even if you think you have nothing to hide. In some instances, the right investigations attorney in Austin can keep you from getting charged. Brian Erskine has experience representing individuals during investigations and has kept charges from getting filed on his clients for alleged violations such as such as hit and run (failure to stop and give information/ failure to stop and render aid), as well as theft, sexual assault, unlawful carrying of a weapon, driving while intoxicated (DWI), possession of marijuana, engaging in organized criminal activity, injury to a child, and possession of a prohibited substance in a correctional facility. What should you do if the police or Child Protective Services (CPS) want to talk to you? You have several options but talking to an experienced investigations attorney in Austin who can help you decide what is the best one should be your first step. You can refuse to speak with an investigator. Law enforcement wants to talk to you for a reason. Maybe it was information from a neighbor or family member that they are following up on. Maybe a teacher saw or heard something about your child that triggered a report. What you have to understand is that, in most cases, this investigator is now looking for evidence of something that she believes you did wrong, no matter the reason, even if the allegation is fabricated. Deciding not to speak to the investigator does not necessarily mean that you have something to hide. In some cases, this could be the best option because it keeps you safe from saying something completely innocent that law enforcement could twist around against you. Additionally, the investigator may have already made up his or her mind about filing charges against you and is only trying to give a prosecutor more ammunition to come after you. Another option is having your lawyer speak for you. An experienced investigations attorney in Austin who regularly deals with investigators will know what information can help the situation and what can make things worse. Having an investigations attorney in Austin standing beside you can alleviate the stress of making snap decisions about what questions to answer or how to answer them. Finally, in some specific situations, cooperating completely with an investigation could be your best option. There may be a reason why someone is accusing you of a crime other than you actually committing one. For example, oftentimes divorces and child custody battles create situations where one side is trying to get the upper hand and may resort to making false allegations to do so. Unfortunately, there are people with mental health disorders who may have created a reason to fabricate a story; or even worse, people with a vindictive attitude toward another who can make a false allegation. In instances such as these, sitting down with an investigator and providing background information to give them a bigger picture of the situation can potentially make allegations go away. Any one of these options could be best for you. 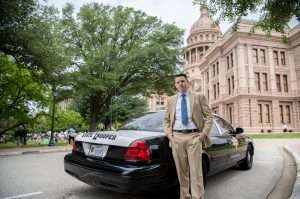 When you hire the Law Office of Brian Erskine you gain an experienced investigations attorney in Austin that will work hard to protect all of your legal rights. Contact the Law Office of Brian Erskine today to receive a free and confidential consultation. Offices in Travis, Hays and Williamson Counties, by appointment only.